SANTIAGO/LA PAZ (Reuters) – A World Court ruling next week on Bolivia’s claim that Chile has ducked a legal obligation to discuss access to the sea could force the Andean neighbors to the negotiating table over a land spat lingering since the 19th century. The International Court of Justice in The Hague, which settles legal disputes between United Nations member states, is due to announce on Monday its findings in the row, which came to a head after landlocked Bolivia filed a lawsuit in 2013 seeking to force Chile to negotiate access to the Pacific Ocean. If the ICJ rules in favor of Bolivia, it can order Chile into a negotiation of “good faith” with its neighbor. But the question of “good faith” is a thorny one, said Paul Reichler, a Washington-based attorney who specializes in representing states before the ICJ for Foley Hoag law firm. While the ICJ’s rulings are binding for U.N. members, it has no power to enforce them. Reichler said the case was the first of its kind before the ICJ – involving a claim by one state that there was a breach of an obligation by another to negotiate a cession of territory – and it is unlikely to spur similar legal battles. “It would be next to impossible to find a parallel situation,” he said. Bolivia lost its access to the sea after it was defeated in a war with Chile in the 1880s, which annexed its coastline. Bolivia, one of the poorest nations in Latin America, claims the lack of sea access has stinted its economic growth. Before the ICJ, Bolivia argued that Chile had not kept diplomatic promises and obligations made under international law to negotiate sea access, namely a land corridor and port under its control. Chile said any discussions would be a matter of diplomacy and it was not legally obligated to further negotiate, arguing that the issue was settled by a 1904 peace treaty. It also points out that Bolivia already has duty free access to the Chilean port of Arica. 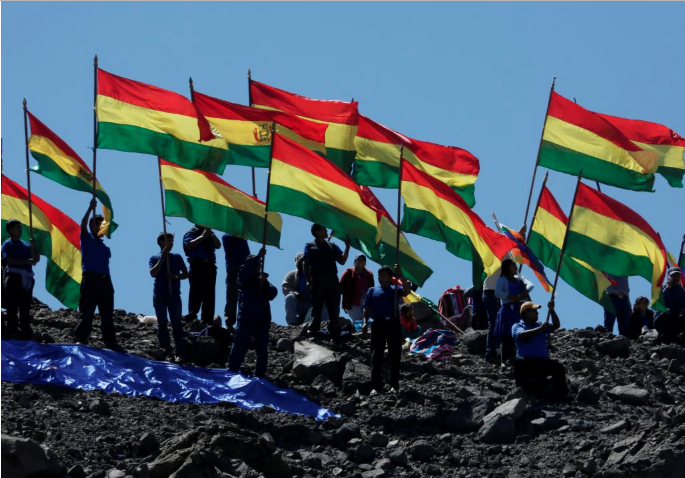 However, Bolivia wants its own sovereign port. The dispute has long been a thorn in diplomatic relations between the two countries, which have not hosted ambassadors for each other for decades. “This is the story of two stubborn neighbors that make the whole neighborhood ugly because they cannot talk to each other,” said Patricio Navia, a political science professor at New York University and Diego Portales University in Chile. If Chile is forced by the court to open a dialogue with Bolivia, it would be a political embarrassment for Chilean President Sebastian Pinera, Navia said. Bolivian President Evo Morales, who will make a bid in 2019 for a controversial fourth term, has used the dispute to rally political support. Bolivia maintains a navy and celebrates an annual “day of the sea” commemoration to reiterate its perceived right to ocean access. “I think Morales prefers to use this as a campaign tool because every time he finds himself in problems, he can point to Chile’s denial of claims for sovereign access as the reason for Bolivia’s underdevelopment,” Navia said. Bolivian Thoughts opinion: Let’s give credit when it deserves to be given: evo took the initiative to make the International Court of Justice to issue a ruling. No one else before him did this, but also it must be clear that ALL arguments presented by Bolivia are a clear result of what Bolivia has been doing ever since the Chilean invasion and the forced Treaty that we were forced to sign. So, Bolivia as a whole is denouncing Chile to the world to solve this conflict. Our problem is that evo relentlessly pushes to remain in power, at all costs, and is clearly using this conflict to what he believes will be regaining support from Bolivian voters, well, he is wrong as Bolivians demand he honors his word and steps out of the presidency when his term ends, period.